Join us for a fun-filled family friendly bowling fundraiser in support of Canadian families affected by the rare genetic skin condition – Epidermolysis Bullosa (EB). 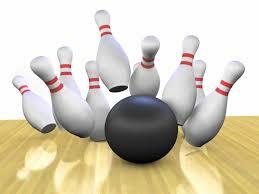 Enjoy bowling with family and friends, raffle prizes, and more! All proceeds to go to DEBRA Canada, the non-profit charitable organization assisting families affected by EB. To learn more DEBRA Canada’s programs and services for our members, click here. Other: Music, draws for participating prizes. Bring your spare change for hot dog sales, raffle tickets & more. Create a personal or family fundraising page. Share your page with your network of family and friends to fundraise in support of the 2018 Quebec Bowl-a-thon. If you receive the minimum registration fees in donations to your page, then your registration fees are FREE!. Click here to make a donation in support of the event. Please contact us if you would like us to pick up a prize/ product donation. All charitable donations of more than $10.00 will be issued a gift in kind tax receipt. Please see PDF donation confirmation form, click here. Contact: Kim Conroy at kim.conroy@hotmail.fr or phone 418-558-8842.